What’s blue and silver and all wrapped up? Our Chanukah Gift Tin! 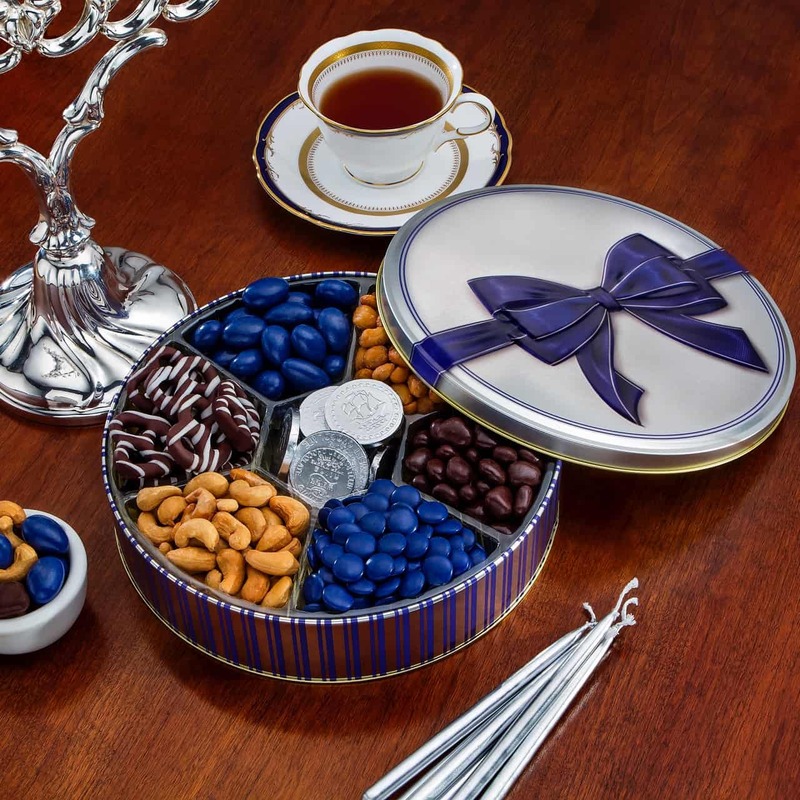 Each tin keepsake is topped with a two-dimensional bow and makes an instant Chanukah present. No wrapping paper needed! 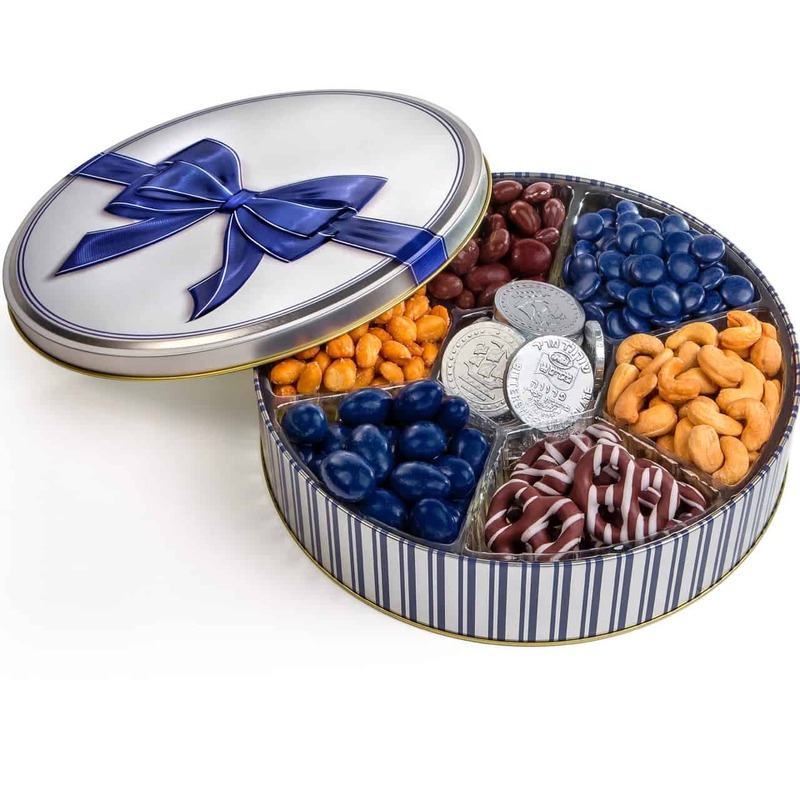 Under the lid, you’ll find five sections of Chanukah treats, including blue and white Jordan almonds, roasted cashews, savory pistachios, blue and white chocolate mint lentils, and of course, gelt! This gift is the perfect way to wish your friends, family, and loved ones a happy Chanukah! Tin measures 8.5”H x 9”W x 2.25”D when closed. All items are individually bagged for freshness. Includes a free gift card with your personal message or greeting. chocolate-covered pretzels, Jordan almonds, cashews, peanuts, mint lentils and chocolate covered cranberries are under the O-K Parve.